Originally published in the Australian Financial Review on 28 April 2015. Australia has the debate over superannuation back to front. All of the attention is on the accumulation phase, including debates about contribution rates, contribution caps, and how to use super to fix the budget deficit. What we should focus on is what people need to fund retirement, how they use their savings and what factors affects their decisions. From there, we should work back – ensuring we have the structures, goals, products, regulation and guidance needed to help people live long and fulfilling lives in retirement without running out of cash or breaking the public purse. In all of this, the focus should be on adequacy, equity, efficiency and sustainability. That, in a nutshell, is the mission of the Committee for Sustainable Retirement Incomes (CSRI), an independent, non-profit and non-partisan group of public policy experts from government, academia and industry. Reflecting our non-partisan role and multi-disciplinary make-up, we have broad agreement that the retirement income system should be considered in an integrated, holistic way. This is in contrast to recent years in which the system has been subjected to a succession of ad hoc, quick fixes driven by the needs of the political and fiscal cycle. With momentum for change growing, the CSRI recently convened three roundtables of policy experts, regulators and market professionals to consider far-ranging retirement income system reforms to deal with an aging population. The first roundtable focused on future retirement income adequacy. The second explored the interaction of the four retirement income pillars (age pension, compulsory and voluntary superannuation, and housing) to identify ways to improve sustainability. The third roundtable, on the post-retirement system, was arguably the most important. While the accumulation phase of super has been subjected to extensive research and multiple reviews, the post-retirement system remains relatively undeveloped. The discussion confirmed for us that we can transform Australia’s good retirement income system into an excellent one, improving adequacy and reliability of incomes for future retirees while increasing financial sustainability. But the key in all of this will be to focus on the key objectives of the system, take a holistic approach and not be captured by those interested in a short-term budget fix or protecting their own particular corner. The need for a long-term focus was highlighted in the Murray Financial Services Inquiry, which called for the setting of a clear objective for super. This involves providing income in retirement, as well as improving the range of products to efficiently convert super savings into retirement income. The Federal Government has since endorsed nearly all of Murray’s recommendations and has said it will legislate for an income goal for super. But while setting the goal is necessary, it’s only the first step. Refocusing the system to meet the objective includes changing super tax concessions that currently accrue mainly to wealthy people who accumulate large amounts and who aren’t at risk of falling back on the age pension. Another challenge is addressing the significant gender imbalance in super, which leaves women on average ending their working lives with around half of the savings as men and spending long years in retirement on very low incomes. Removal of regulatory barriers is needed to spur innovative solutions that help retirees manage market, inflation interest rate risk and longevity risk. A quarter of a century ago, Australia led the world in adopting a retirement savings system built around the contributions that employees and their employers made to chosen investment funds. The resulting three-pillar system of defined contribution compulsory superannuation, backed by voluntary saving and the age pension, has been held up by the World Bank as a model for others to follow. But with population ageing, lifespans increasing, public finances stretched and the risk of people outliving their savings growing, the system needs to evolve in response to changing circumstances. This means we need to find ways to build on our system’s strengths, with outcomes more like the old defined benefit systems, where the end retirement benefit is pre-specified. This resulted in more secure lifetime incomes. All retirees have different consumption needs and their needs change over the course of retirement. They have to deal with unforeseen events, like health and aged care, and they don’t know how long they will live. There needs to be flexibility in the system to address these diverse needs. Research shows retirees are reluctant to draw down their savings but it’s not entirely clear why. Are they living too frugally for fear of running out of money? Are they concerned about funding an aged care bond? Or do they simply want to leave bequests? We need to know the answer before we can build the right policy framework. In an ideal world, all members would be highly engaged, financially literate and working to a retirement plan developed specifically for them. The reality, however, is that most fund members are disengaged and only a small proportion seeks financial advice. This highlights the need to develop the right framework to deal with the fact that most people are uninterested in super, not thinking about retirement or what their needs might be. So if we are to make income-in-retirement the goal, we will need to change the framing of superannuation from an investment to a consumption focus. This will require targeting income more reliably than can be achieved under an account-based pension while retaining flexibility so retirees can meet unexpected expenses without increasing the risk that they outlive their savings. Providing members with income projections, as advocated by the Murray review, is important as long as the uncertainties around those projections are clear. They also need to be given options if their plans are not on track – including increasing savings, working longer or adjusting their expectations for retirement. What we do know is that the system needs to deal better with longevity risk – that with healthier living and better health care, people will outlive their savings. The Commonwealth currently carries the lion’s share of that risk through the age pension and aged care. This effectively makes the Department of Social Services the largest financial services firm in the country, underwriting equity risk for superannuation members. The alternative is to build innovative new longevity risk and aged care solutions within private superannuation pensions, enabling the transfer of risk from the government to the private sector where it can be better managed. You would expect that in a mature retirement savings system, there would be a greater range of products on offer in the areas of longevity risk management and aged care, yet Australia’s system is dominated overwhelmingly by account-based pensions. Unfortunately, this is largely because innovation is stifled by overly prescriptive regulation, a factor that is now widely acknowledged. There are also cultural challenges. 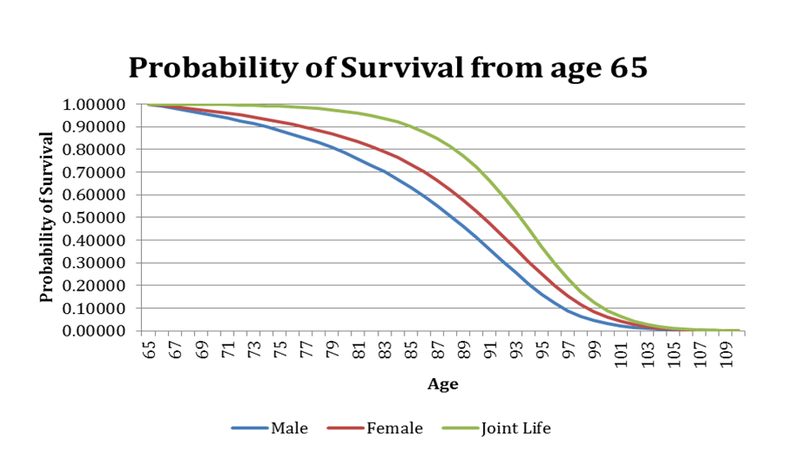 Longevity risk management involves pooling of risk. That means those who die early forfeit benefits to help pay income for those who live longer than expected. There may be some resistance to this as until now, we’ve been told that super is our money. Murray’s other key recommendation was for trustees to pre-select for their members a low-cost “Comprehensive Income Product for Retirement” (CIPRs). These “CIPRs” would have minimum mandated features such a regular and stable income streams, longevity risk management and flexibility to deal with lumpy consumption. But there are uncertainties around how this would work. For one, the government has said it will merely “facilitate” trustees to offer these products, raising the question of whether trustees would bother offering them given the risk of making the “wrong” choice for members. Then there are a range of design questions, such as how far CIPRs will be tailored to an individual’s needs, what qualifies as longevity risk management and who should assess the design? Should this be left to trustees or should APRA manage the approval process? Risk management and asset allocation change in post-retirement. Some fiduciaries favour a “bucketing” strategy in which a member’s savings are segmented into two or more separate pools, including a “cash bucket” for short-term needs and an “investment bucket”. Others suggest a “layering” strategy in which investments are aligned with members’ ultimate objectives, a system akin to the asset-liability matching of insurance companies. This represents a challenge to the superannuation industry accustomed to an accumulation environment that forces standardisation. Given these complexities, a CIPR is less likely to be seen as a product and more as a solution that combines a product and a service. There would need to be regular reviews for members in retirement to ensure their chosen solution remains appropriate for their circumstances. Digital platforms and “robo-advice” could help in fitting members into retirement solutions. While defaults are highly effective in overcoming member disengagement, care would need to be taken with their use given members’ reluctance to change. The challenge for the industry is that the skills needed to manage investments for accumulation during a working life are quite different to those needed to manage investments and consumption for retirement. The latter is significantly more complex. Fortunately, a handful of players are leading the policy development here and actively shaping the market. The rest will need to join in or risk being left behind. For regulators, the challenge will be to strike a balance between encouraging innovation in the post-retirement space and ensuring simplicity and the benefits of scale. What we know from the accumulation phase is that complexity increases cost, which in turn increases fees. Because Australia was an early adopter of the defined contribution framework for retirement savings, there is no international model for us to refer to. Quite simply, with population ageing in the developed world and budgets stretched, everyone is grappling with this same issue. The good news is we have the opportunity to lead the world as we did in the early 1990s, improving retirement outcomes for Australians, alleviating poverty in old age and achieving this within the federal budget given the pressures from an ageing population. 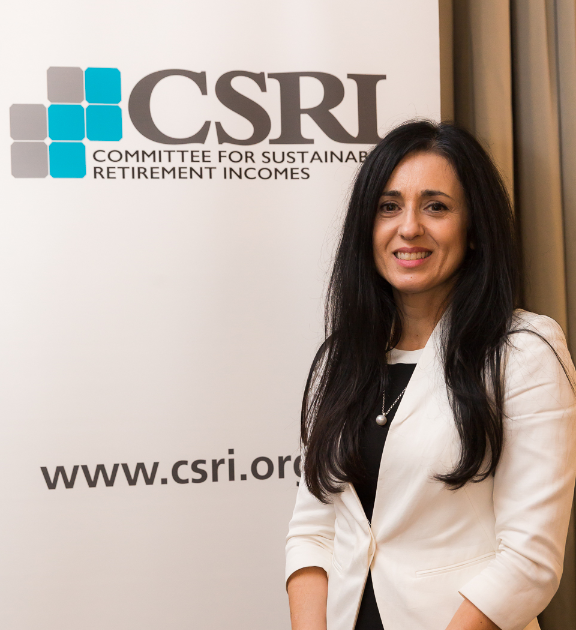 Patricia Pascuzzo is founder and executive director of the Committee for Sustainable Retirement Incomes www.csri.org.au.